The Office is one of my favorite TV shows, so of course I had to read this book! Mindy Kaling plays Kelly Kapoor on the show, but she is also one of the writers. This was a light, quick read that I gobbled up in only a few sittings- perfect for reading on the beach! I absolutely love Mindy Kaling’s writing style! Her personality shines through her words, and it almost feels as though you are having a conversation with her. She’s funny, quirky, witty, and honest. That’s one of the things that struck me the most about this book- Mindy Kaling is so honest in her opinions, and she’s not afraid to speak her mind. Her views of certain people, situations, and institutions are not always positive, just as they are not always positive in real life. The stark authenticity in her voice makes the reader view her as an actual person rather than simply a face on a TV screen. The first seventy pages or so was my favorite part of this book. In this section, she discusses her childhood, adolescence, and transition into the “real world” beyond college. The stories she tells are hilarious and honest, and they definitely helped me relate to her more as a reader. Personally, I found it so reassuring to read about all of the troubles she faced growing up, from being bullied to feeling insecure about her friendships and where she was going with her life after high school. As a teenager it’s certainly nice to hear that even very successful people struggled and overcame obstacles like these in their lives. The rest of the book was entertaining, but I did not find it as interesting. I felt like I could have found out much of the information about her more recent career working on The Office from researching online, whereas stories about her childhood are hard to come by. The second half of the book never quite matched the first half in my mind. However, it was enjoyable nonetheless! 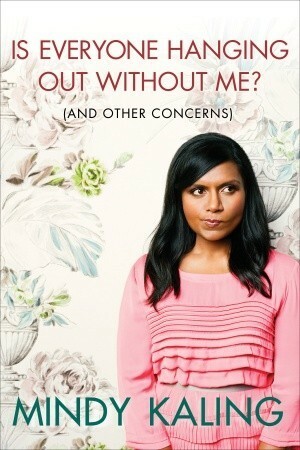 More than anything else, this book has made me realize what an amazing person Mindy Kaling is. She has worked so hard to get to where she is today, and she is a lovely person with a hilarious and endearing personality. I’ll definitely be on the look-out for more of her work in the future! Would I recommend it to a friend? : Absolutely! Whether they like The Office or not, this is a thoroughly enjoyable read! Have you ever read this book? What were your thoughts on it? Let me know in the comments section below! I love her! I really need to pick this up! great review!